It Ain't Native American Religion! When you hear the word "shamanism," what images jiffy-pop into your mind's eye? Do you picture feather head-dresses, buffalo hides, medicine wheels and dream-catchers - images associated with Native American cultures? Contrary to popular opinion, a "shaman" is not an Indian medicine man, and "shamanism" is not a Native American religion. In fact, many Native Americans find the terms "shaman" and "shamanism" offensive. The word "shaman" actually originates among the natives of Siberia, where it describes a specialized type of holy person. The shamans of Siberia interact with deities and spirits not only with prayer, ritual and offerings, but through direct contact with the spirits themselves. With the aid of rhythmic drumming and chanting, the shaman enters a very deep or ecstatic trance. In discussions of shamanism, the word ecstasy is used in its original sense, from the Greek roots ex and histanai meaning "out of place" or "out of the physical" - an out-of-body mystical state. This trance frees the shaman's consciousness from the body, allowing it to fly into the realms the spirits inhabit, and to experience these Otherworlds with all the senses of the ordinary physical realm. Yet, shamanic journeys are more than mystical encounters with spirits; shamans undertake trance-journeys for practical purposes, in service to their community. A shaman may journey in the Otherworlds to gather information from the spirits, perform healings, guide the spirits of the dead to resting places, gain spiritual favor and power, or any number of other reasons. Like priests in Western society, shamans are not self-appointed, but called to their tasks by the spirits themselves, and then trained and recognized by their Elders and the community. This specialized, sacred role of the shaman exists in many cultures outside Siberia, and the accounts of ecstatic trance-journeys are remarkably similar around the world. The ecstatic trance seems to open the human mind to archetypal experiences, transcending cultural boundaries. The spiritual realms are almost always experienced in three layers: one equivalent to the physical plane of the earth, another to the heavens above, and a third that lies below the earth. Each culture interprets these realms and their inhabitants slightly differently, but the similarities are enough to suggest that the pattern of imagery arises from the process of the trance-journey itself, rather than from cultural expectations. There is even evidence that the ecstatic trance-journey may have been part of the development of all religions, including Christianity. Although the practice of the trance-journey has all but vanished in many cultures, remnants of it exist in myths and traditions. Since any Western words for the role of shaman disappeared along with the practice, the term shaman was adopted into English from Russian in approximately 1700. It describes not only the Siberian shamans, but any community-recognized specialists of the ecstatic trance-journey, whatever their culture or religion may be. Shamanism refers to the typical practices and beliefs of these spiritual specialists, including the methods of ecstatic trance-journey, as well as the beliefs and methods that arise from their experiences. The term shamanism also describes religions like those of Siberia which support and depend upon the shaman as a necessary central figure to their practices (much as Catholicism supports and depends upon on priests). Modern examples of this type of religion are rare, so most current uses of the word "shamanism" refer to trance-journey practices used within a religion, rather than to a religion itself. Although Euro-American cultures don't support the classical role of a shaman, there is a modern effort to re-introduce shamanic practices to the West. Known as neo-shamanism, this spiritual movement adapts the methods of the shamanic trance-journey to the needs of modern society. Like traditional shamanism, neo-shamanism is not a religion, but a set of practices and techniques used within existing belief systems and cultures. Neo-shamanism focuses on spiritual and psychological healing, and is finding acceptance not only within alternative belief systems, but also among some Christian and other mainstream religious groups, as well as in certain branches of psychotherapy. Unfortunately, the term shamanism has been misused in popular culture for many years. The entertainment industry has used "medicine man" and "shaman" interchangeably (and usually inaccurately) to describe holy men and women of Native America. The public began to assume that "shaman" was a Native American word, and that "shamanism" was a universal Indian Religion -- yet in reality, there is no universal "Indian Religion." There are hundreds of Indian Nations in North America, each with its own culture, language, and spiritual belief system. Many of these Nations are very different from one another in their religious traditions, and none of them describe their beliefs as shamanism. Even from a scholarly standpoint, few Native systems can be accurately described as "shamanism" - the ecstatic trance-journey is simply not a major part of most North American Indian cultures. This confusion is reinforced by commercialized pseudo-indian groups that sprang up in the late 1970's. Focused mainly on New Age alternative healing methods and environmental awareness, these groups misrepresent themselves as genuine teachers of Indian traditions. Exploiting the stereotype of Native Americans as ecological warriors and spiritual healers, they commonly charge high fees for teachings and ceremonies, a practice particularly offensive to traditional Native Americans. Although the teachings of these movements may be valid in their own right, they are neither traditional nor typical of Indian beliefs, nor are they shamanic, as they rarely if ever stress the ecstatic trance-journey as a central practice. Yet the movement continues to misrepresent itself as both Indian and shamanism. As a result, many Native Americans see the use of the word "shamanism" as the height of an offensive stereotype and commercial exploitation of their people's beliefs. Many neo-shamanists and scholars are sensitive to this issue, and strive to educate the public about exploitation of indigenous cultures, as well as correcting common misconceptions about the words "shaman" and "shamanism." A "shaman" is a specialist and master of the ecstatic trance-journey, not a synonym for tribal healer, holy person or medicine man. "Shamanism" is the practice of ecstatic trance-journey, and the typical beliefs and techniques that arise from and support it. Shamanism is not a catch-all term for indigenous religion, earth-based religions, spiritual healing, or beliefs in totems, animal guardians or nature spirits. These misconceptions about shamanism are promoted by both well-meaning and fraudulent teachers, books, periodicals and web pages. They need to be corrected both for the preservation of traditional Native American cultures, and for the advancement of spiritual learning in the West. One of the more colorful and fascinating aspects of Tlingit ceremonial history is shamanism. The Tlingit Indians believed in malevolent spirits that interfered with their lives. Only an individual who possessed certain knowledge, i.e. the shaman, could intercede and break their power. For example, the shaman could cure the sick by driving out evil spirits; he could guarantee large fish runs and good weather. Often his powers were called upon to assure success in battle or to combat witches. A famous Yakutat shaman is credited with preventing the great smallpox epidemic of 1836 from reaching his village. A shaman had at his command a number of spiritual helpers called yeks through which he made contact with the supernatural world. Each yek was assigned a special name and song. Yeks could assume both animal and human form, and were the subject of shamanic art, especially carved masks. The success of the shaman, who incidentally was well paid in advance for his services, depended upon the number of yeks under his control, and his rapport with them . If the shaman's efforts met with failure, he usually had an explanation for the client such as interference by bad spirits. Another payment would then be required for further services. The appearance of the shaman must have been impressive. His hair was never cut or combed, and formed a long mat down his back. His costume- typically a hide apron, shoulder robe and crown-could be decorated with animal claws and carved bones. During his wild contorted dance to conjure up the spirit world, he often donned the mask of the desired yek. While manipulating rattles, charms and batons, the shaman would chant, groan, hiss, cry, and so forth, until he worked himself into a trance-like state. Shamanism as a vocation was not something everyone could aspire to. It was an inherited honor bestowed upon a son, grandson, or nephew. The would-be shaman was required to venture alone into the wilderness for a period of time determined by his success or failure in meeting up with spirits. His link to these spirits were the animals of the forest who, upon "offering" him their tongues, fell dead at his feet, and then transported him to his yeks. This "gift of the tongue" contained great power for the shaman, especially when given by the land otter, a most potent supernatural force. In addition to his responsibilities as mentioned above, the shaman conducted important large public rituals each winter season. During these ceremonies the shaman appealed to his yeks to see to the well-being of his village. Belief in the power of the shaman did not begin to weaken until the late 1800's. The shaman in tribal cultures is the person who sees into the sacred world. The shaman brings their sacred visions of ancient spirits and power animals out as ritual. By this ritual process, most similar to prayer, imagery, and art, the shaman heals themselves, others, and the earth. By having visions of healing, and doing sacred ritual, the shaman makes the visions come true. The shaman manifests reality in the outer world, from the visionary world. That is the same way the world was created from Her vision. We are all Her vision on earth, we are. A vision quest is a quest for the visions in anyone’s life that will heal them and make them whole. In traditional first nations cultures young people were sent into nature to listen to the voices of the living earth. The elders taught them to do this to find their path in life and to find their power animal helpers. The person on the vision quest spent days in caves, on mountain tops, on rivers, in the desert, waiting, and inviting the voices to come to them. When they heard the voices and saw their vision, they would return to their people and know who they were and what they were to do. This book will be about how to evoke a similar experience for you in our own contemporary culture. A spirit animal or power animal is the spiritual energy of the animal on earth. The spirit animal is greater than the actual animal because it embodies the essence of that animal. It is the animal. It is not a human form of the animal or an human dressed as an animal, it is the animal spirit itself. For example with a spirit bear, it is the voice of all the bears that have ever lived. It is the shamanic bear. It is the bear that can see itself and speak. A spirit animal appears to the shaman as a vision. It is the voice of the wild, the voice of nature, the voice of the earth. 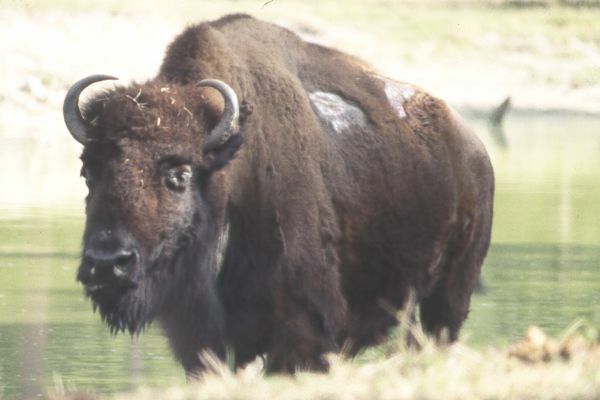 This animal informs the shaman of the earth energy it holds. It gives the shaman power and protection. It is a helper that assists the shaman on the journey inward. No shaman would attempt an inner journey without the help of a power animal. The power animal conveys to the shaman and their people an energy they need to heal. Who are the ancient spirits? The ancient spirits are the embodiment of the ancient peoples of the earth. Ancient spirits speak in the collective voices of ancient peoples. They are the spirit guides, the inner voices of the earth. Ancient spirits are archetypal visions given form. They appear to the shaman in visions to give them messages from the earth. They come you with the intention to communicate with you. They come to you to help you heal. Initially you see them from afar. They make themselves known to you. When it is clear that you invite them, their voices become clearer. Ancient spirits need to have a relationship cultivated to stay visible. They bring you back into forest. They coax you deeper into nature. They take you on their ancient paths. When you follow an ancient spirit, that is when you discover the feather and understand its meaning. The ancient ones take you on The Path of the Feather. 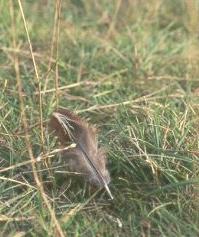 The ancient ones tell us the story of The Path of the Feather. A medicine wheel is an ancient way of creating a sacred space. In a medicine wheel each direction has an animal that lives there and stands for one type of energy. For example in our medicine wheel the East has the owl and stands for change, the South has the lion and stands for passion, the West has the bear and stands for healing power and the North has the turtle and stands for grounding. Each person calls in their own animals that hold or represent for them each energy and each direction. The medicine wheel can be populated by many of the animals that live on the earth. The medicine wheel is built by placing a small object that stands for the animal or energy in each direction around a circle. The circle can be as small as a hand or as large as the earth. The object can be a animal fetish, a feather, a sea shell or a special stone. It is always something deeply meaningful to you, something you have found or been given as a gift. In the process a center is also created and another special object can be put there. Through this process you create a sacred space that becomes a mini vortex of power. It is used to create intention.. Balance is created by the equal presence of all four energies acting at once. By creating the medicine wheel, you makes a physical manifestation of earth’s energies. It is a sacred alter which evokes the powers of the earth. Like an alter it brings your prayers in harmony with the energies of the earth. By actually making something real in physical space you act and create. The energy and prayer to heal is embodied and seen and can be touched. A medicine wheel is simply a way of making sacred space more real and more visible. Ancient peoples believed that the medicine wheel in itself had great power and helped create change and healing. Medicine wheel are circles that were made all over the world. They come from the most ancient cultures and persist to the present. They were found throughout history in every culture. Medicine wheels were always a place of ceremony and rutual. The rituals that were done at the medicine wheel are hidden or long forgotten. They probably were about the hunt, rites of passage, the stars, planting, migrations, the spirits. They were done at a community level, and involved huge amts of energy. Often the making of a medicine wheel involved moving huge stones hundreds or thousands of miles. It was like the making of the pyrimids in Egypt. The technology of making a medicine wheel or stone circle is not clear, how did they move those huge stones? Medicine wheel or stones cirlces exist from Europe to North America. There are stone circles in Florida cedar key England. They were certainly a place of great cermony, a place for the gathering of peoples, and were often away from village sites. Sometimes they were places of burial and temples too. Where were medicine wheels built? Medicine wheel were always in sacred sites. The sites were often at the intersection of rivers, on mountain tops, in the center of plains between mountain and rivers. People could get there via the rivers. The water ways lead you to them. They were often on the high places, a point to look at the distant landscape. In any case, the palces were deeply sacred. You can feel the energy. They are in places that are the intersections of ley lines, energy lines, places where chuches, and later sacred sites were built intuitively by more modern peoples. The practice of shamanism is not easily defined. The best I can do to get you started is to define a few parameters. A shaman is one who goes into an altered state of consciousness at will. While in this altered state, he or she makes a conscious choice to journey to another reality, a reality which is outside of time and space. This other reality is composed of three layers: the lower world, the middle world and the upper world and is inhabited by helping spirits. The shaman is able to establish relationships with these spirits and to bring back information and healing for the community or the individual. Most importantly, shamanic work makes a practical difference in this world we live in. The work brings about a change. The journeys are undertaken with a specific purpose in mind. A basic principle of shamanism is the belief that everything has a spirit and is alive. The tree has a spirit, the rock has a spirit, my drum has a spirit, and yes, even this computer has a spirit. If everything has a spirit and is alive, we humans then find ourselves in a position of equality rather than dominance. If you follow this logic, you begin to realize that shamanism is a radical act. Shamans don’t follow the laws of man; they follow the laws of spirits. They don’t dominate the earth and its creatures; they strive to live in harmony and balance. Shamanism has enjoyed a resurgence of interest in the last twenty years. Sandra Ingerman’s book Soul Retrieval, Mending the Fragmented Self and The Foundation for Shamanic Studies (directed by Michael Harner) have contributed to the heightened interest. Many indigenous shamans have come forward in recent years to help train others and share their knowledge. Their prophecies have urged them forward; the time is now. "Over tens of thousands of years, our ancient ancestors all over the world discovered how to maximize human abilities of mind and spirit for healing and problem-solving. The remarkable system of methods they developed is today known as "shamanism," a term that comes from a Siberian tribal word for its practitioners: "shaman" (pronounced SHAH-mahn). Shamans are a type of medicine man or woman especially distinguished by the use of journeys to hidden worlds otherwise mainly known through myth, dream, and near-death experiences. Most commonly they do this by entering an altered state of consciousness using monotonous percussion sound. What we know today about shamanism comes from the last living bearers of this ancient human knowledge, the shamans of dying tribal cultures scattered in remote parts of the world. Few of them are left today, due to the destruction of their peoples and cultures, and to deliberate attempts to eradicate the shamans and their knowledge, even though shamanism is not a religion, but a methodology. Now, at the last moment, open-minded Westerners are beginning to discover for themselves that the shamanic methods can yield astonishing results in problem-solving and healing, for themselves and for others. As a result of their use of the methods, they are acquiring a new awareness of their spiritual unity with all beings, with the Planet, and with the Universe. They are also discovering that there is a dimension of reality beyond that ordinarily perceived." The word "shaman" comes from a Siberian term that includes both genders, but the term "shamanka" is sometimes used by Pagans to denote a female shaman. Shamans are found in indigenous cultures the world over and shamanistic techniques are in widespread use among Pagans. In traditional societies, one becomes a shaman through some form of vision quest or near-death experience, during which the individual is "astrally" torn to pieces and then reassembled. From then on they act as healer and spiritual advisor to the community. Commonly they travel up the World Tree to the spirit realms to gain information or to retrieve lost souls. They also utilize ecstatic dancing, drumming, and natural drugs to alter their state of consciousness.They almost always have totem animals and spirit guides to help. The Russian artist Vassily Kandinsky (1866-1944) was fascinated by shamans in his country and explored the theme extensively in his work with "The Blue Rider." A shaman, in the anthropological sense of the word, is not something a person becomes by reading a book. Pagans utilize many of these techniques; very few Pagans are shamans in the anthropological sense. Shamanism is a set of tools and techniques used to interact with the spirit world and the world around us. It has no specific pantheon of gods and is attached to no particular culture. It is a way of looking at the world and at yourself. There are no hard set rules, no hierarchy to try and work through. Shamanism is the oldest known form of spiritual practice. It is a time-tested practice, what works is kept, what doesn’t is left behind. When our ancient ancestors prayed that the spirit of the Deer would come to them allowing them a good hunt, they were using shamanic techniques although I am sure that was not the word they used to describe it. Most of us are taught to think of time as a linear thing. Minutes, seconds, hours.... These are just words humans have given to a concept that we choose to call time. For shamans this is a very restricted view of time. We all know the sayings, "Time flies" and "the minutes just crawled by." Time flows forward and backward, swiftly and slowly. It is a relative concept. You can ask your guide to teach you how to slow time or speed up time. Slowing time is especially useful before journeying. You can experience hours in the spirit world in what seems like minutes in the physical world. Your guide can also teach you how to travel to the future or retrieve things or change events from the past. This is a good way to get closure with events that have haunted you, even if the change is in the spiritual world instead of the physical. Like wiccans, shamans recognize the powers of the four directions, North, East, South and West. Depending on the type of shamanism they often also recognize two more, Sky and Earth. They are called by different names depending on your practice, for example, Mother Earth and Father Sky or Earth Mother and Sky Father. A seventh is also used by certain people. The seventh direction is inside of yourself. Each type of shamanism has many traditional songs and chants. There are also personal ones that you are born with or are given by your spirit guides to help raise power or gain protection. Songs and chants allow you to clear you mind and get a different mind set. They are often used for important events or when you feel you need aid (like right before that big test that you are still nervous about even though you studied). You can meditate to learn your songs or ask your guide to teach you if it is time for you to learn or you can drum till one comes to you. Once you learn a song practice it until you will not forget it. The songs can be long or short, but are most often set to a strong beat. One of mine is actually set to the cadence of my walk. DonÕt worry if you feel that you are just making it up, your guides will lead you to the right words. Shamanism can often feel like make believe, but it is not. Shamans often dance to help them get closer to the spirit world, to help raise energy and to open and clear the way for them to access their power. Dancing helps make a visualization become reality. Dancing can help tell the story of a journey. Practice dancing and moving rhythmically to a strong beat for at least five minutes at a time to build up your stamina. Half jogging in place is a good way to start. Try dancing one of your journeys. Show what you do with your motions. Don't worry about what you look like, just let yourself move, even if it is as simple as walking and gesturing. Talismans, like amulets or pouches containing symbolic items, crystals and/or herbs, can help protect you on your journeys and in real life. For example I have a small leather pouch filled with certain sayings, crystals, and symbols. I feel that it helps keep my connection with my spirit guides strong and I rarely go far from home without it. It is the trust in the energy that gives the protection not the talisman itself. The talisman is only a physical symbol of the energy. You can have talismans that exist only in the spirit world and the power and protection will be the same as long as your belief is the same. Gifts that you receive on your journeys are powerful talismans, even if you cannot see them with open eyes. Talismans serve as one of many reminders that the spirit world is out there and available for help if we remember to ask. Shamans have a very close connection to the earth and therefore to rocks and crystals. Shamans use crystals to amplify energy and to help heal. Since crystals are used as tools they are often prepared and then kept until needed, not worn or displayed publicly. The clearer and more even the crystal the better it can exchange energy. Remember to cleanse crystals, especially bought crystals, before you work with them. There are many ways to cleanse crystals, rinsing in ocean water, burying in salt, placing in running water, running through incense or sage smoke, or freezing. For example, I run crystals through running water to energize them, let them air dry, in the sun if possible, and then run them through incense smoke while tuning them to myself. Cleanse crystals whenever you feel they need it. Although I feel that just handling a cleansed crystal tunes it to you, you may wish to tune them to you by greeting the crystal, and then projecting your name into it three times. You should also ask it if it has any special properties. If you wish to use it for anything specific now is the time to set that idea into the crystal and ask its permission. 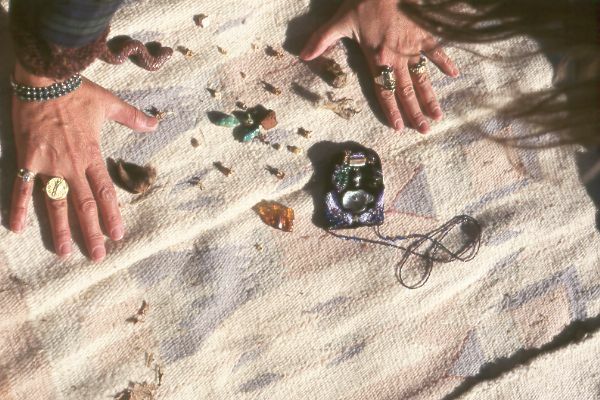 To draw energy to a certain place, like your work area, studio, or ritual space, you can set up six (or four if you prefer) clear quartz crystals four in a circle around the area, one in each of the four directions, and two in the center, one pointing up for the sky and one pointing down for the earth. Try to stay out of this area if you are feeling negative or sick since the crystals will magnify you feelings. Please see Gemstones and Crystals for more information on different types of crystals and gemstones. Traditionally people generally came to a shamanic path by being chosen and trained by an experienced shaman, or by inheriting the role from a parent. Often people choose or are led to follow a shamanic path after a near death experience, but that doesn’t mean that you have to go out and try to kill yourself if you want to learn shamanism. In today's world many people come to the shamanic path becasue they feel drawn to it or curious about it. Anyone can incorporate shamanic practices into their lives. You only need to believe that you can. The first step is the making of the medicine wheel. This step is making a medicine wheel and making your life sacred. It is using your own body and placing it inside the medicine wheel and using the medicine wheel as an atlas for your primary orientation in sacred space. The medicine wheel is an atlas to orient you in sacred space and time, just like an atlas orients you to travel on roads on a trip in physical space. This step is grounding yourself in a sacred world view with intent. Your making the medicine wheel is done on purpose to bring you there. This involves you hearing the ancient spirits sing, and your seeing out of the eyes of the spirit animals in order to understand the earth’s story. This step is finding your own animals and ancient spirits. They will tell you your story. They are the voices of the vision quest. The third step is finding a feather to tell you that you are on the path. The whole process is the making of you as a shaman, the reframing of your life as a vision quest. This is The Path of the Feather. You are already on it. The medicine wheel will help you remember and know that all you have done has already been on this path. One of the most basic beliefs of shamanism is the belief in the web of power that runs through all things. Shamans believe that everything is alive and is connected in a mutually supportive way to everything else in the world. It is this web of power that brings sense to the world. The web has an unlimited amount of potential and power to send to the physical world. Understanding this web of power, this spirit world, is necessary to understanding and learning shamanism. All objects in the physical world have "spirit." It is the spirit that is the source of power. Shamans communicate with the spirit of both living and (what most would consider) non-living things. Through this communication they gain an understanding of the world around them and the more you learn the more power you have to draw from. As a general rule, shamans believe that unlike natural objects, plants and animals, each human has his or her own unique spirit body. (I believe all things do, but that's my twist on it.) This spirit body can be see surrounding people like brightly colored flames or heat waves. The spirit body normally extends around people anywhere from eighteen inches to about three feet and responds to how people feel and what they are thinking. Brighter colors have higher vibrations and darker, duller ones have lower vibrations. Some believe that the size of a spirit body equates to how much power a person has. Basically it is aura by another name. Since shamans deal so closely with the spirit world it is easy to become "lost" between the real and the spirit worlds. People who are always daydreaming or are said to have their heads in the clouds are such unattached people. Shamanic presence is the ability to live with a foot in the real world and a foot in the spirit world and not forget who and where you are. This is done by keeping balanced, grounded and 'present,' or mentally aware of your physical presence. Shamans must know where they are at all times. This is one of the reasons shamans seem powerful to others, they always know where they are. People very familiar with Shamanic techniques and very aware of their presence can do a quick inner journey while walking down the street. One way shamans stay organized and focused as to where they are is through use of certain images. One is the Tree of Life. Its roots are in the Lower World, also known as the underworld or world of the dead, where shamans go to talk with ancestors, to find lost information, or to find information about diseases and other things to do with the physical body. Travel to the land of the dead should not be attempted without a guide. The trunk of the tree is known as the Middle World. Often the trunk is seen as square, one side for each of the four directions and their corresponding season. It is the magickal version of our reality and shamans visit it to solve everyday problems. The branches of the tree are in the Upper World. It is a place of the future, creativity and flight. No one world is viewed as better or more important than any other and most shamans from around the world have used similar guides. Another such image is the medicine wheel, also known as a mandala. It is a circle that is divided into four sections (or sometimes subdivided down to eight) that symbolize the four directions. The circle of the wheel symbolizes the Middle World, the sky above it, the Upper World, and the earth below it the Lower World. the center of the circle is the center of the universe and the entire circle, including the Upper and Lower worlds are spiraling to the center. Every person has a place on this wheel which symbolizes where they are in relationship to their spirit center at the center of the circle. The better you know your center the more power you will have. Here is a simple exercise to help you find out where you are on the medicine wheel. Center yourself and relax. Close your eyes. Create a medicine wheel in your mind. Divide it into the four quarters with two lines intersecting in the middle. Decide which line stands for which direction. Make a dot in the center and then color the quadrants however you wish. Let a spirit animal come to symbolize each quadrant. Don't think about it, they'll come if you should be doing this. If not stop and try again at another time. Ask your spirit animal to show you where you are in the wheel. Remember the quadrant, the color, the spirit animal for that section, and how close you are to the center. Feel free to ask your spirit guide what this means for you at this time. Thank the spirits for their help and come back to where you are (in other words, feel your body and what you are sitting on etc...) Then open your eyes. Write and/or draw what you saw. You should do this every so often to see where you are in relation to your center. As you start to practice shamanism in your life you will start to see obstacles being removed from your path and things starting to work for you. You will notice that you will become more comfortable with yourself and with the world around you. You will feel more connected and will find potentials within yourself that you never before realized were there. This will only happen if you let it and if you politely work with the spirit world and give it a chance to work for you. What is on these pages is by no means everything there is to know, or even a good percentage of it. As you study you might decide that you want to go further than simply using some basic shamanic practices in your life. If so then you will want to find a teacher. This teacher will not necessarily be a human being in the physical plane. You might find that you are more comfortable with and will learn more of what you want to from a plant, animal or other spirit in the spirit world. Or you might be more comfortable with a human teacher. Neither choice is better or worse. It is all a matter of personal preference. Remember that formal training will take time and dedication. When choosing a teacher remember to be selective. You will find some great advice on the subject of at another link here: Finding A Teacher. However when choosing someone to help you learn shamanism, there are some other things to keep in mind. Look for someone who has a good sense of humor and is able to laugh at themselves and help you laugh at yourself, rather than someone who is serious all the time. A good teacher should have respect for the world around them, for themselves and you. They should be more willing to include people than to exclude them. They should not claim to be perfect and should not expect you to be. They should be able to make mistakes and learn form them and to show emotions. They should have a strong shamanic presence and should practice what they teach. Shamans live with a foot in two worlds, the physical one that we all know and the visionary or "spirit" world, the world of the imagination. Shamanism teaches how to bridge the gap between the real and the imaginary. The main tool of the shaman to this end is visualization, or simply put, their imagination. Put the idea that imagination is useless make-believe play out of your head right now if you want to learn anymore about shamanism. It is not pointless mental activity and it is most definitely not just for children. It is the link to the spirit world. If you want to use Shamanic techniques in your life, get used to the idea of using your imagination. Children can access the spirit world easily, but learn to block this ability as they get older. This is not a bad thing. Children need to learn the difference between the real world and the imaginary, but some people learn to shut it off too well and will need to relearn what they automatically knew how to use when they were a child. But don't worry, it's just like riding a bike, you'll remember very quickly. Shamanic visualization uses all of your senses, sight, touch, hearing, smell, taste, and even the 'sixth' sense if you wish to use it. The more senses you bring into your visualizations the more powerful they will become and the easier your travels will be. Here are some visualization exercises to try. They are in order from simple to more difficult. It will probably be most helpful if you work them in the order given. Remember after you complete an exercise feel your body and your heart beat and where you are sitting before opening your eyes. It can be jarring to be relaxed from practicing an exercise and then suddenly being back in the physical world without a moment to adjust. Balance is all important to a shaman. Since all life is interconnected through the web of power, all actions will have many reactions. You must consider these reactions before you act. The Wiccan Rede and the Threefold Law are just as valid in shamanism as they are in Wicca. However, just as the triple goddess of Wicca has the crone aspect to deal with death and change, shamanism also deals with these aspects of life. Shamans understand that for anything to be created something must be destroyed, that without dark there could be no light. Good and evil are just flip sides of the coin. There is such a thing as appropriate destruction, for instance, bad habits, beliefs that you wish to change, unhealthy relationships, etc... Destruction has tremendous power and shamans understand this and use it to benefit themselves and those around them. Creation is just as important, but without destruction there can be no creation and vice versa. Shamans must learn to balance these two forces in their lives. Power is found in balance because if you keep you life balanced and consider balance in what you do then you are in tune with the web of power. This means creating and destroying, giving and receiving. The more you give the more you shall receive, but remember that to stay in balance you must accept the gifts you receive, just giving is not enough. Accept your gifts gratefully and remember that everything in life is a gift. Shamans are very aware of the big picture. If your goals are in harmony with the big picture (the spirit world's version of it, not necessarily what you think it ought to be) then if you work towards your goals you will reach them. Not necessarily when you think they should or in the way you expected but they will come to be. The key to it all is neutrality. Strong emotions can cloud or even block information coming to you from the spirit world, the same holds true for blind opinions. You have to be willing to look at both sides of an issue because sometimes the answers will be on the side opposite your opinion. Shamans learn to detach from situations, often through the use of humor. It's very hard to stay emotional and attached to an issue when you are laughing at the situation or at yourself. Humor can be found in everything, especially if it involves humans, you just need to learn to see it. If you are too emotional about something your road will probably lead to failure. Your emotions will blind you. The same goes if you pay too much attention to something. A watched pot never boils, you know. The spirit world needs to be free to work and to give as it chooses. You will need to learn to surrender to succeed and to understand that the spirit world works in its own way and time. Remember to listen to yourself, your guides, and allies and to look at the big picture and consider balance in what you do. Be willing to change and to view it as an interesting learning experience, rather than hiding or running from it. Do not let your emotions cloud what you do. Most of all remember to be patient and accepting of the spirit world. Rituals and ceremonies are performed for many reasons, birth, death, coming of age, marriage, full moons, new moons, equinoxes, solstices, as preparation for a journey, before healings, and to celebrate important events. Rituals serve as a focus for what you wish to accomplish and as a reminder of our connection to the web of power. Rituals and ceremonies tend to use rattles as well as drums. Drums are used to help the shaman journey to and from the world of the spirits. Rattles tend to bring the spirits to a place. Rattles are also used for directing energy much in the same way wiccans use wands. Rattles are traditionally made from dried gourds filled with small stones and attached to a stick. However anything that rattles nicely can by used in a pinch although one made from natural objects always tend to have the nicest feel. Do whatever feels right for you. The following are links to information about some rituals and ceremonies. They are by no means word for word accounts of how to do them. Instead they were written to serve as a guide for people to learn from and develop their own rituals out of. It is your life. It is your path. Live it for yourself. We are all searching for something we know as home, something that we feel is home. Home is not necessarily a particular physical place. Rather it is a place of connection in the heart that is full of belonging. Home is something that changes as we change. It is a place where we are at peace with things, where we are safe and open to whatever needs to happen. Sometimes we stumble across home without meaning to. Home is a feeling of warmth, it is a moment of truth that transends all time. As we live our life , we learn about home and we learn about ourselves. Home is a story. Home is a way. Home is a Medicine Song carried into the night by the Moon and further along by her lover, the Sun as they come together in harmony and balance. Home is all that feels familiar and comfortable, it inspires us to always and forever be more. It is the silent dream of a child, wishing, hoping, creating...... unlimited by the fears and emptiness of those who turn away from the earth's energy. No matter what, home is the ground upon which we walk, which has always been there for us and always offers herself to us tenderly. The land and the people are one. The spirit never dies. The way of the Shaman is the way of life, it is the way of humility, of giving, of loving and of thankfulness. As you walk your journey do not forget to touch Elohino, Mother Earth. As you walk let your footsteps fall lightly upon the ground. Come down upon your knees press your hands gently upon her body, feel her heart beating. Do not forget what she feels like. Listen closely to her humming, her smells and sounds. Listen to her ancient song that needs no words. She will never ask you to come to her, that is not her way. She asks for nothing and offers everything. Whether you have found home or you are looking, it is good to be thankful. Thankful for what it is that has power for you. What holds beauty for you. What gives you peace and joy. The Sacred Fire glows eternally in our hearts and for this, we have much to be thankful. These are my words of life, these are my words of truth. I speak the words, and this is my breath of life, take it in and offer it forth. Have you noticed that certain places just "feel" better than others and that others make you "feel" uncomfortable? This is because the energy in certain areas has a more harmonious, or positive, reaction with people and the energy in other places can have a negative reaction with people. These effects come from the rocks and earth of the area. People can effect the energy levels of the area around them (this is easily noticed during spellwork or rituals). If people feel enough negativity in one place the area itself starts to feel bad and the same holds true if people feel enough positive emotion in one area, it will slowly become positively charged. Churches and places of worship are good examples of this. I had the opportunity to visit a concentration camp in what used to be East Germany a few years ago. I could feel the negative energy of the place even as we were driving up to it and that was without even trying. Cleansing an area with sage can often clear negativity, especially if the negativity centers in a room in your home. It isn't quite that easy to cleanse a place such as a large metropolitan area, for example. Certain areas can have tremendous energy to them. You can often tell when you have found one by a tingling feeling in your hands, feet or face. A few famous examples are Stonehenge and the pyramids, but there are many more places, both large and small, that hold tremendous power. There are many small areas of energy all around, even in your own home. Certain places can be beneficial to all, some just to certain people. Animals and plants are very aware of these power places and will either flock to them or avoid them depending on the types of energies there. These places can magnify your emotions, so be aware of how you are feeling before you visit one. They are also known to balance, energize and heal. However, there are also many places that have the opposite effects, so be careful. What is a good place for one person may not be so for another. To find a place of power relax, close your eyes, ask your guide to help you and feel for one. Try to sense it either as a sensation on one side of your body or as a glow that you see as you look around with your eyes closed. Open your eyes and move towards the area you sensed the energy from. Repeat this until you find one, i.e. the sensation or glow is all around you. Ask your guide if this is a good place for you or if you should keep searching. If you should keep searching repeat the original steps, but look for a different spot than the one you already found. If it is the right spot for you ask the Earth to let you use the spot and thank her when you are done. Always greet her when you visit it. It is best to do this exercise outside in natural surroundings. If you can do it blindfolded and just feel your way to the spot that would be best. If you do try it blindfolded, have someone you trust with you to keep you from breaking something or falling off a cliff. Try journeying form the spot you have found and from where you normally work from and feel the difference. You can also try journeying form different areas in you home. Some may have better energy for you than others. Even if you cannot physically go to your power place, once you have found it you can still benefit from its energies by visiting there in the spirit world or by visualizing it in your mind. Make it a practice to do this until you become comfortable with it. Then when you need a boost your place of power will be a thought away. You can also create your own place of power that can be used for rituals and journeys. Sites such as these are sometimes called Medicine Wheels. Pick a place that is outdoors if possible, basically flat, and feels right. It can even be at a place of power you have searched for if you can find one that will work. Outline a circle of about eight or nine feet in diameter, or whatever size feels best to you (you might want a larger area if it will be for groups) with natural objects such as stones and pine cones. If you use objects that came from plants, use found objects. Refrain from pulling apart a pine tree just to line a ritual circle. It goes against the entire idea. Smudge the area with sage and mark the center with a firepit or a large stone, or something else that feels right to you. Call upon Earth and Sky as you do this. Place markers such as rocks at the four directions, calling each one as you do. You may also wish to place crystals (two in the center one pointing up, one down, and one at each direction) to amplify the energies. You may also want to place markers at northeast, northwest, southeast and southwest as well. Add whatever other markers or objects you feel necessary. One significant aspect of shamanism is journeying. This could either be questing within or using the Tree of Life as a guide. Journeying is done by imagining or visioning. You will enter what is often called an "altered state of consciousness" or an "ecstatic state." Basically it is a deep meditative trance in which you journey, most often with the help of a spirit guide, within yourself or using the Tree of Life as a map. Journeying allows you to communicate with your spirit self and with the web of power. Most shamans use drumming to help them into and out of a trance state. You do not have to use drumming, and rhythmic sound will work, for example ocean waves. You may use tapes, but it is best if there is some control over the rhythm to adjust it as the need arises, so it is preferable have "live" music. You may either drum yourself or have someone drum for you (which gives you the added benefit of having someone to watch your body as you travel). You can journey without the sound, but it really does help you get into the mood and go into a trance easier. It also helps call you back from your journey. I would suggest that you do not try to travel without it until you are very comfortable with the process. Besides how hard is it to find something to tap on? You do not have to have a fancy drum, an empty tissue box will do in a pinch. The length of a journey depends on the person and on what they are trying to do. Try and make sure that there will be no interruptions. If you find outside thoughts intruding just accept them and move on. The same holds true if you try to judge what you see. Just accept that your mind is trying to judge then move on. When you travel remember to be respectful, calm and patient. You won't get very far if you aren't, in fact you will probably get some rather amusing lessons on it. Normally the answers you get will be simple and direct, they can also come in puzzle or dreamlike form. If so there is often more to it than there seems. Do not try to think it to death just let it rest and you will understand when it is time. Accept what you are shown or given (gifts from the spirit world should be treasured) even if what you see makes no sense to you at the time. Trust that it will eventually when the time is right. You should have no expectations or preconceived notions of what you will find in the spirit world, if you do it can skew what you find there. If you try to journey and nothing happens don't panic and, no, you probably did nothing wrong. Don't stress about it. You might not be ready or it might not be the right time. Just wait and try again later. Timing matters and remember that practice makes perfect. It is often taught that when you are astral traveling and you meet something that scares you, you should send it away, often to "the light," or leave yourself. Things aren't quite that easy in shamanism. Often you will be shown or put through very disturbing experiences. In fact this is often used in initiations or ceremonies in the spirit world to destroy the old and bring in the new. This goes back to the idea of creation and destruction. Something must be destroyed for something to be created. We all have inner demons to face and facing them is rarely a pretty sight or a fun experience, but it is something that must be done if we wish to change and grow. Most people are uncomfortable with change because it delves into the unknown, but you need to learn to be comfortable with it if you wish to use shamanic practices successfully. Do not be afraid of what you will face when you travel. Your guide will be there to support and protect you. They will take care of you body and protect you from things not involved with your journey. If you are actually truly uncomfortable and frightened by something you are supposed to face then you are probably not ready to face it. Learn patience and come back to it another time. However do not just ignore it and hope it will go away. Another bit of advice. Be careful when you travel. Try to have someone to watch your body if at all possible, especially when you are just starting to learn how to travel. Always ask a spirit guide to guard in the physical realm and in the spirit realm while you travel. They are glad to do this, just remember to thank them. Remember that while you are journeying you body might as well be asleep. This means no journeying while bungee jumping or performing surgery or anything else that requires alertness or might entail danger. Also if you haven't already read the advice we have posted at Astral Projection please do. African spiritual tradition are diverse in tribe, language, and location, but have many shamanic techniques in common. Most believe that one distant creative force charged a pantheon of lesser being to regulate creation. The tribal medicine men function as intermediaries between the people and these spirits, as well as the ancestors. They are respected as priests and ministers. Rituals use music, drumming, and dance. Westerners see the influences of African spiritual traditions in the religions of Voodoo, Santeria, Condomble’ and Ifa. The Asian spiritual traditions have a strong shamanic foundation, with its influence found in the nature based spiritual practices of China, Tibet, Japan, and Korea. Technically, according to the etymology of the word, shamanism most appropriately refers to the practices of those spirit workers in Central Asia and Siberia. Although not directly linked to modern traditions of witchcraft, the modern seeker’s search for spirituality that led to the exploration of Native American traditions has also led the seeker to explore the traditions of the Australian Aboriginals. As diverse as the tribes of the Americas and Africa, the Australian aboriginals share many shamanistic elements. Best known among them is the belief in the Dreamtime and the reverence of animal spirits. Though the true oral traditions of the Druids may have been lost, the mysteries of the Celts have been preserved through the myths and poetry of Celtic traditions. Even though many have been Christianized from their original pagan foundation, you can clearly see the roots of a culture well versed in the spirit world when you read the tales of Ireland regarding the Tuatha de Danaan, the Welsh Mabinogi myth cycle, the classic transformation of Taliesin the Bard, and the prophecies of Merlin. The pagan Celts were a culture that saw the spirit worlds side by side with the material world, and one step could easily take you through the gates of the human world into the realm of the spirits and gods. Proponents of the old faiths claim that Celtic Shamanism has survived under the veil of Christianity in folk customs honoring the faery folk, second sight, spiritual healing, and the Underworld tradition. Looking to the surviving folklore of the British Isles, one is inclined to agree. The ancient empires of the Incans, Mayans, Aztecs, and Toltecs had rich shamanic cultures that survive today in Central and South America with modern practitioners. Although each of these cultures is very different, they all share striking similarities. Mystical healers and those who speak with the spirits are part of life in these lands. Their magnificent buildings and potentially bloody rituals do not seem like shamanism to the casual observer, yet like the Egyptians and Greeks, their civilization and religion grew out of the guiding mysteries of shamanic technique. Use of sacred calendars, herbal lore, sacred sites, animal helpers, and spirit work can be found in these surviving traditions despite the encroachment of new religions and technology. In fact, like many African traditions, some have absorbed Christian principles as a way of survival. With its sophisticated culture and architecture, ancient Egyptian civilization is another culture that doesn’t spring to mind as being shamanic, yet shamans have one eye focused on the next world, the ancestors and the afterlife. Egyptian magick was focused on the mysteries of death and the afterlife as well as for magick for daily life. One of the most prominent myths of this land is the death and resurrection of the god Osiris. Shamanic initiation journeys all over the world are much like the story of Osiris. In the spirit world, the shaman is confronted with death, horribly mutilated or torn into pieces. The power of magick, sometimes embodied as a goddess, resurrects the shaman, yet leaves him changed somehow, adding or subtracting some element. This rebirth grants the shaman new powers. Osiris was resurrected by his sister-wife, the goddess Isis, yet was missing his phallus, thereby becoming the lord of the dead. He could no longer create life, but gained a new kingdom. Perhaps Osiris was a shamanic god, and the Egyptian dynasties evolved from a more shamanic tribal culture. The story of Isis and Osiris became the basis of Egyptian mystery schools. The Finnish people also have a full shamanic tradition that is fairly unknown in the modern world. Historically, the Finns were well known for being a nation of formidable wizards, holding great power and the ability to change the winds and weather with their songs. They are a nomadic people, coming out of Asia, who eventually settled in their current homeland. Linguistically and magically they have more in common with the ancient tradition of Siberia, Mongolia, and Korea than their European counterparts. Some believe that the Finns may have predated the Celts in the British Isles, influencing Celtic myth and magick. Their shamanic practices continued when the Finns settled in North America, and they were sometimes considered witches in the New World. The word tietaja, referring to a shaman or wizard, is used in Finnish translations of the bible to refer to the wise men or magi. Their magick works primarily through the magicians relationship with the spirits of nature and the gods, through trance, drumming, words of power, song, and purification rituals of the sauna. Many of the traditional myths, folklore and magical charms were eventually recorded in the Kalevala, a collection of epic folk poems from the oral traditions of Finland and Karelia, first compiled in 1835. It is known as the Finnish National Epic. The magical lore and philosophy of Hawaii is called Huna, meaning “hidden knowledge.” Practitioners of Huna are called kahunas, acting as priests, ministers, and sorcerers to their people. Though this tradition was almost wiped out due to the Christianization of the Hawaiian islands, it has been preserved and its lore translated for the modern world. Huna contains a quite detailed form of spiritual psychology and healing. Kahunas have parallels in other Pacific islands, such as the tahuna of Tahiti and the tohunga of New Zealand. One of the most interesting legacies of European shamanism comes from an area in Northern Italy known as Friuli, where Italian, Etruscan, Germanic, and Slavic traditions mingled. Although the pagan spiritual practices of Tuscany honored the ancestors and were somewhat shamanic in nature, in Friuli there existed a tradition know as the Benandanti, who practiced an unusual blend of shamanic magick. The Benandanti were an agricultural fertility cult, pagan in origin and possibly related to the cults of Diana or the myths of the Wild Hunt. Later, Christian beliefs were mingled with their own. When the witch trials of the Burning Times caught up with them, the Benandanti honestly felt they were good Christians, doing Christ’s and the Lord’s will. The members of the Benandanti, or “good walkers,” were marked at birth by a caul that was preserved as a magical charm worn around their neck. On the Ember Days, the days just before the equinoxes and solstices, they would be called to service. Some say they were called by drums or summoned by angels. Unlike many magical orders, the Benandanti were called to gather together only in spirit, going into a deep slumber like trance and projecting their spirits to a common meeting ground, the Valley of Josaphat in the center of the world. They would transform, or shape shift, into animals such as mice, rabbits, cats, and butterflies. There in the valley, as good soldiers, they would fight the forces of malignancy, decay, and corruption, all the things that symbolized a poor harvest or harsh weather. These forces were embodied as “witches and warlocks” by the later Christian Benandanti. Buying into the Christian propaganda, the witches, or “bad walkers,” were different from the Benandanti because they caused illness and harmed children, while the Benandanti protected the harvest, village, and children from witches. They would fight the “bad walkers” with stalks of fennel, known for its healing powers. If they were successful, the year would be good. If defeated, the land would be plagued with problems. They returned to their bodies by the dawn and returned to otherwise normal lives. To the witch inquisitors, this all sounded too much like a witch’s sabbat, though the Benandanti fiercely denied it. The Church did not strongly persecute the Benandanti. To the modern eye, the rites of the Benandanti are very shamanic-drums, festival days, traveling in spirit, acting as sacred warriors of the village, shape changing, and using the spiritual powers of plants to battle and heal. To some, the traditions of Greece and Rome are the first to come to mind upon mention of the word paganism or witchcraft. Most people are familiar with the classical gods of Olympus, and with the emphasis on culture, society, and philosophy, most people don’t tend to think of the Greco-Roman influence as particularly shamanic until you revisit the myths. When you understand that shamanism is not necessarily a tribal native religion, but a practice of walking between worlds, you can’t help but see the parallels of the shaman in classic mythology. Many Greco-Roman deities have shamanic and magical characteristics, particularly Hermes, the messenger god. The story of Persephone’s transformation from the maiden Kore while in the Underworld of Hades is much like the shamanic initiation of the witch. In fact, some modern witchcraft traditions reenact the decent of this goddess during initiation rituals and seasonal celebrations. We now believe the initiatory rituals of the Eleusinian Mystery Schools are based on the stories of Demeter, Kore, and Hades. The Mystery Schools of Pythagoras, Orpheus, Dionysus, Eleusis, and the imported Persian cults of Mithras could all be considered formalized shamanic rites. The early Greek mystics were certainly influenced by the more primal religions of the northern territories of Thrace and Scythia, known as the land of witches. When discussing shamanism, most people who are unaware of the Siberian origins of the word automatically assume that you are talking about the medicine people of the Native American tribes. Although viewed as a single culture by many, each tribe has its own mythology, rituals, songs, and traditions. As there has been a revival of such religious practices among Native people, some tribes have been willing to open their doors to seekers, usually white men and women, who want to participate and practice the medicine ways. Many people in the modern pagan and New Age movements spend a lifetime searching for their own practices and experiences, and participate in either Native rituals or anglicized forms or Native rituals. Then they bring these experiences to their own traditions of witchcraft. Since European witchcraft has lost most of its specific shamanic rituals, modern witches draw upon Native American teachings for inspiration. Many witches participate in traditional forms of vision quests, sweat lodges, and tribal dancing, often studying with a Native American teacher. Like the Celts, when you look into the myths of the Norse, you will find a rich, complex system of shamanic thoughts. Their prose, the epics of the Eddas, encode this wisdom much like the Celtic texts. In some ways, Norse mythology outlines the most complete and complex shamanic cosmology of Western Europe, consisting on nine worlds in the three regions of upper, lower, and middle levels. In each world dwell spirits, gods, and creatures that find parallels in other cultures across the globe. Though many think of Norse magick as strictly the arena of rune magick and divination, the Norse have a long history of shamanic practice and seership, using song, poetry, and shivering and shaking to induce trance. Norse shamanic practices are sometimes referred to as Seidr. Seidr is associated with the goddess Freya and her priestesses. The cults of the rune master god Odin, or Wotan, are also considered shamanic in nature. Odin used the shamanic techniques of self sacrifice, piercing his side with a spear, and hanging from the World Tree to learn the mystery of the runes. Initiates of these mysteries possibly reenact the sacrifices of Odin to gain inspiration, vision, and magical power. The Siberian traditions of shamanism are possibly some of the oldest forms of shamanism surviving today. Outlawed under Soviet rule, Siberian shamans kept their knowledge and traditions in secret, and are not free to practice again. The origins of the word shaman come from Siberia, and many people theorize that the spread of tribal culture and shamanism to the Americas began with these cultures as groups migrated to other climates. When studying traditional teachings from these lands you will find many similarities with all the great traditions, making one wonder if this was one of the first fonts of magical knowledge. Siberian shamanism weaves together information found in North and South America, European, and Far Eastern traditions. Like other traditions, those of Siberia emphasize that shamanism is a calling, a vocation, and that one is literally called by the spirits to service. The Slavic traditions of magick and shamanism found in Eastern Europe influenced the cults of the Benandanti in Northern Italy and continued independently on their own for quite some time. Many countries in Eastern Europe were the last to convert fully to Christianity. Knowledge of a diverse pantheon of spirits and deities has survived into modern times. Slavic traditions were very dualistic and had a strong focus on nature spirits and ancestor reverence. Like many cultures, Slavic tribes had a ritual totem animal. They also believed in a great World Tree with three divisions. A personal tree was seen as a sort of spiritual “telephone” to connect with the ancestors and other worlds. These traditions have a wheel of yearly celebrations somewhat similar to the modern pagan Wheel of the Year. Their religious orders at all levels are open to both men and women. Trees and plants often figure into shamanic journeys. 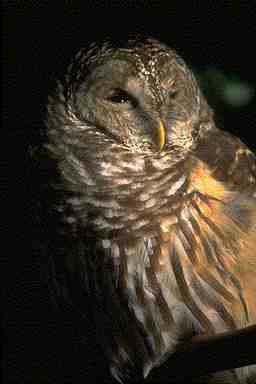 They are there to impart much knowledge and wisdom if we show a willingness to become attuned to them. They can serve as guardians and guides because humans have an affinity with them, though many are ignorant of such a connection. Like trees, we began life as a seed which contained within it our individual potential. Like trees, we receive nourishment from the soil and the sun. Like trees, we grow and blossom in adulthood to provide shelter and protection for others. And like trees, we, too withstand the storms and traumas of life. On the physical plane, the primary purpose of trees is to guard and protect the Earth’s environment. Without them, the atmosphere would become polluted through an excess of carbon dioxide, ultimately contaminating the environment. An another level, trees are the imagery of protective forces, and also symbols of energy-power and of dormant potential. This imagery surfaces from hidden depths of the subconscious and unconscious when an altered state of mind brings it to the attention of the consciousness. Partly through understanding a tree’s physical characteristics and applying them in human terms and partly through a journey to seek a further explanation, the sight of a particular species of tree, or trees on a shamanic journey can act as a messenger through this imagery. Here is a list of the attributes of trees and bushes that figure prominently in shamanic journeys. It should help the shamanic adventurer to arrive at a more meaningful understanding of the shamanic experience. Alder: The alder is associated with transition and transformation, indicating that adversity contains within it the seeds of a new beginning. Alder imparts serenity and the power to avoid being swept away on emotional tides. It teaches the need for calmness and the strength that comes from taking an overview of a situation. Apple: Shamans have associated the apple tree with making decisions and right choices, and challenging options. The apple is protective and helpful in those area of activity in which talents and skills are required to be nurtured and developed through consistent care and persistent practice. It emphasizes concentration. Ash: The ash provides a key to understanding the holistic nature of the universe and to realizing how the material and the spiritual are connected. It also shows how one’s inner thoughts ultimately find expression in the outer world of physical manifestation. The ash tree indicates the need for a change of lifestyle to attain a right relationship with the Earth and to link the outer and inner worlds. Its special quality is resilience. Beech: The beech tree is linked with the thirst for knowledge that nourishes the soul, and is guardian of “lost” wisdom and a door of access to it for those who quest for it with love in their hearts. It guards against repeating mistakes and helps in the establishment of a firm foundation for future action. Fir: The fir tree is the plant kingdom’s equivalent of the eagle. It is the protector of distant vision, enabling the likely outcome of present or intended actions to be foreseen and perspectives to be broadened. It is the tree of the visionary and of the seer. Gorse: The gorse or furze bush is associated with purification and with replenishment. It is the protector of efforts to gather the skills and requisites necessary to attain that which is desired. Hazel: The hazel’s pliable branches provide shamans with dowsing tools, while wands and staffs come from its thicker branches. Hazel stresses the power of divination, the ability to discern Nature’s subtle influences and the skill that is necessary to direct the will. It teaches the value of quiet contemplation regarding the direction of creative energies, and of self-sacrifice in taking care of the needs of others. Heather: Since heather grows close to the ground it is associated with practicalities. It was considered “lucky” because its soothing qualities enhanced the pleasantries of dreams and aspirations from which the future is fashioned by the subconscious. Heather guards the “dream time” from negativity, thus bringing a good future and good fortune. Holly: Holly enhances the qualities of vigor and aggressiveness and stresses the need for direct action but with balanced judgment. It is the guardian of the moment, indicating the need to accept the reality of the present and to learn from it. Honeysuckle: The entwining branches of the honeysuckle and the heady fragrance of its flowers were associated with sensuousness and eroticism and the gradual revealing of secrets. In some cultures it was the symbol of the labyrinth and the quest for secrets of the soul. So honeysuckle is concerned with finding a way to your own spiritual center and enjoying the thrill of the experience. It guards against distractions. Ivy: Ivy’s energy is that of the wanderer so it is associated with travel and the exploration of unknown places. It is related to forward vision and with perceiving what is beyond that immediately to hand. It is a guardian of regeneration. Oak: The oak’s special qualities are strength and durability. It grows slowly but its development is sure, so it stresses the importance of patience and the fact that great things develop from small beginnings. It is the guardian of the power of inner achievement and stresses the need not to allow the limitations of logic based systems of knowledge to smother hopes and aspirations. Poplar: Wood from the poplar was once made into shields, indicating that the tree not only resists attacks but strengthens resolve in the face of difficulties. The poplar is a symbol of hope and an expression of encouragement in doing what the heart tells you is right. Its leaves whisper in the wind as if each leaf is conversing. So the poplar encourages you to whisper your silent thoughts and to express your feelings with gentleness. Reed: The long, straight stalk of the reed was compared with the shaft of an arrow which the warrior/hunter needed to choose with great care if it was to be as true as the intentions. So reed teaches the importance of finding direction and having the intention clearly in mind; it also suggests inner strength with the need to bend and adjust to changes. Silver Birch: The silvery-white bark of the silver birch symbolizes purity of intent and determination of spirit, and provides and indication that clarity of purpose is essential to the success of any shamanic mission. The silver birch strengthens and clarifies the image of what is desired, brings the intention into sharp focus, and guards the image from diffusion. Silver birch indicates beginnings and an upsurge of energy usually associated with things that are fresh and new. Willow: The willow’s pliable branches were used for basket weaving and for stockades and for thatch supports. Thus it stresses the importance of receptive and nurturing qualities, of drawing things together in proper balance, and of the need for protection and support. Willow teaches the need for adaptability, and in a world of changing values, of finding satisfaction in the process rather than the ultimate goal. Yew: The yew is one of the longest surviving trees, it can live for over a thousand years, so it is associated with longevity. It emphasizes continuity in the face of constant change, the need to regard death as an advisor and every change as but a transition to another beginning. These descriptions are intended only as indications and not interpretations. They are offered as possible clues to an underlying meaning, and need to be considered not in objective isolation but in the context of what is seen and heard in the shamanic experience itself. These clues may then trigger a response that will enable you more quickly to arrive at a productive interpretation of your shamanic experience.